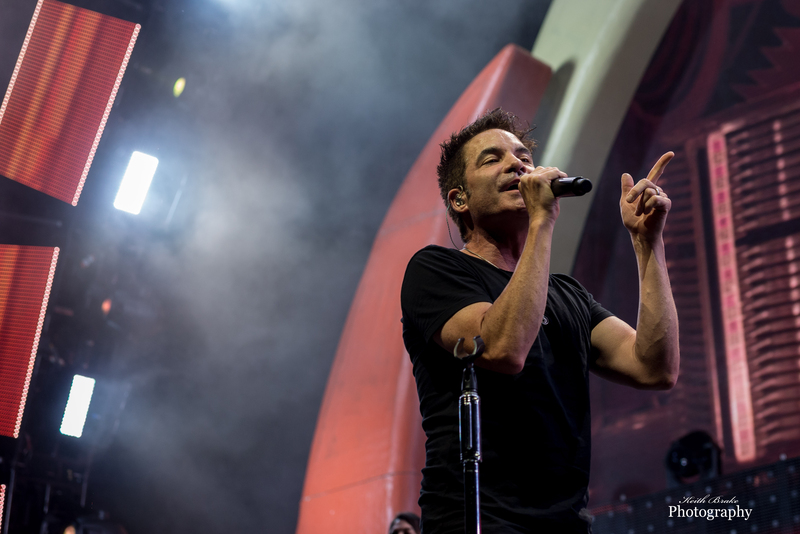 In case you missed out, Saturday, July 1st at the Hollywood Amphitheatre was a packed housed for the amazing performances of Train, O.A.R., and Natasha Bedingfield. The evening was fun and warm (literally and figuratively), and I left the night feeling great about life and thinking about the sheer talent of the performers I’d just watched. That greatness dimmed a little when I realized I didn’t remember where I parked my car, but after the parking lot cleared out those good feelings returned. If you one of the few who didn’t attend the spectacular evening from the Play That Song tour, here’s what you missed. 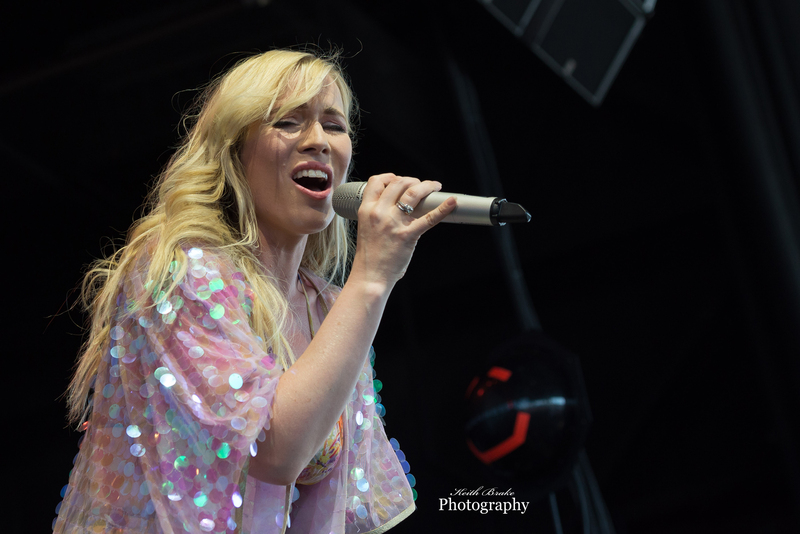 Natasha Bedingfield opened the show, and it was her spirited and fun stage presence that set the tone for the evening. I saw men in their 50s who weren’t even twitching when the band began playing start shaking their shoulders and moving their arms by the end of her act. Bedingfield also pulled off a powerful cover of “Purple Rain” in tribute to Prince, which received just as much applause as her standout hits “These Words”, “Pocketful of Sunshine”, and “Unwritten”. Having followed Bedingfield’s career since her breakout album in 2004, this performance awed me and was a great reminder of how talented Bedingfield is. O.A.R. was next up, and I was truly impressed by the showmanship and playfulness of their performance. I saw many loyal O.A.R. fans in the crowd, including some that just attended the band’s performance in Kansas City, MO. 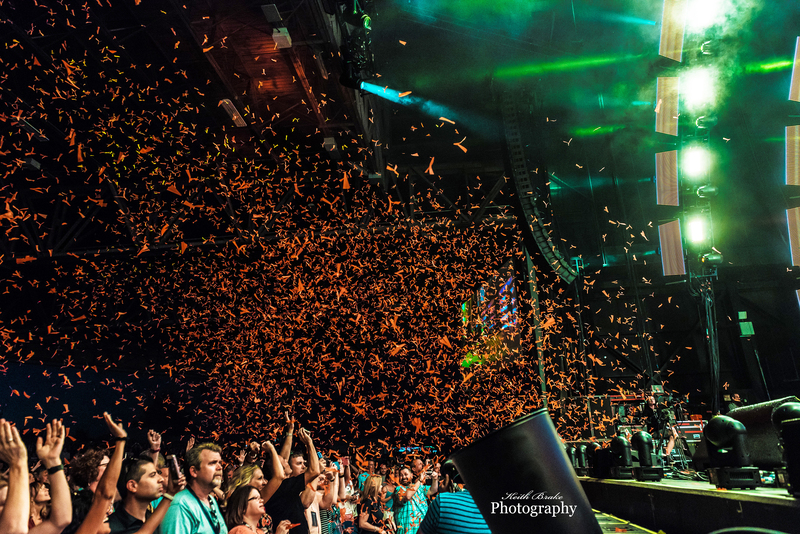 Having never seen them live prior to this concert, I wondered what it was about the band that kept these diehard fans traveling around the country wanting more. It wasn’t long into their performance that I began to see the appeal for myself. Even though they were a larger group on stage (six original members and two touring members), they worked seamlessly together and brought a lot of personality to their performances. 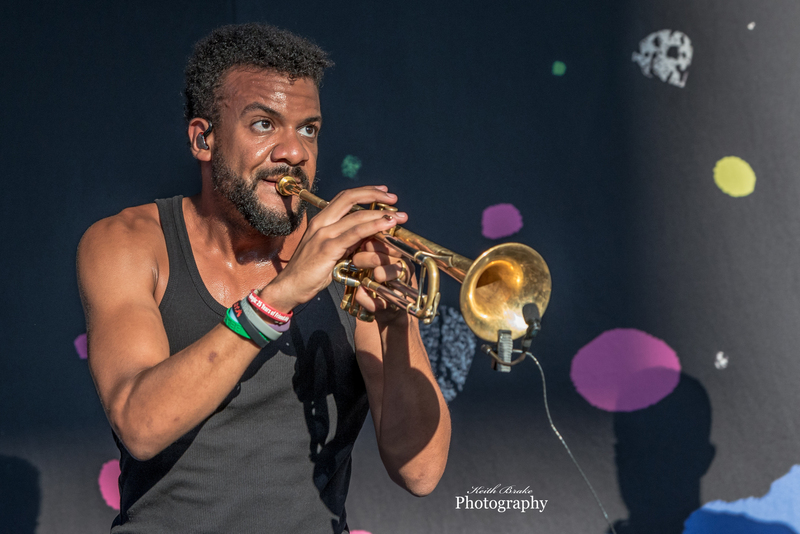 My favorite moment from them was the musical competition between saxophonist Jerry DePizzo and trumpeter Jon Lampley, which culminated in a brass-off between the two men. Something about the chemistry between the musicians on stage just took their performance to the next level. People might attend one of their shows to hear their famous hits “Shattered (Turn the Car Around)”, “Love and Memories”, and “Peace”, but I think it’s the heartfelt performance and group chemistry that will take the experience to the next level. The final performance for the evening was the mega-group, Train. I’ve got to be honest with this one, I wasn’t sure if I’d like seeing them live. This band, which has been around since â€™93, is recognizable across the country for their pop/soft rock hits that have been overplayed on radio stations for as long as I can remember. I have nothing against the group personally (they are beyond talented), but when you’ve heard “Drops of Jupiter” or “Soul Sister” more times than you’ve heard your husband speak, you begin to hold a grudge. Going into this, I was a little concerned that I wouldn’t be able to enjoy their performance as much because of how popular their songs have become. I know, that’s kind of a strange viewpoint to take with it, but there you have it. Now that I’ve seen them live, I will say that my fears were entirely unfounded. Train put on an amazing performance that was genuine, whole-hearted, and extremely fun. 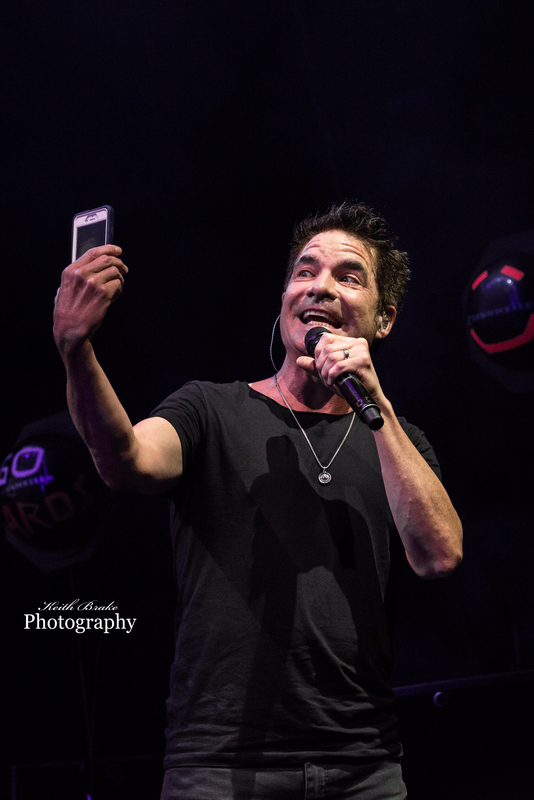 Kicking off the show with “If It’s Love”, singer Patrick Monahan welcomed the crowd and began owning the stage, showing off his charisma and yet still taking time to highlight other members of the group. Monahan also did something that stuck with me even after the first few songs were over. People kept throwing their phones on stage to have him take a selfie. Not only did he expertly catch them and take a pic, he kept on singing (high notes included) without missing a beat or becoming distracted. He didn’t just do this a couple of times, he did this many times for almost two whole songs (that’s 7 minutes of throwing, people!). People would throw, he would take a selfie with them and throw it back, and then he would carry on like he wasn’t singing a song for thousands of people in an amphitheatre. That gesture, which probably was not as easy as he made it look, made the evening for those closest to the stage, and it impressed the hell out of me. You Can Call Me Al (Paul Simon cover) with O.A.R.